I hope you are all excited it’s Friday!! I would be, but it’s Monday in my workweek right now. I can’t really complain though, I just had three days off xD Yesterday I had literally no place to be so I did some experimenting with my Too Faced Chocolate Bon Bons Palette. Smokey eyes scare me. I’m so pale most of the time that I feel like a ghost with dark makeup. I usually end up doing the same style of eye makeup every day, but out of nowhere I decided, you know what? I’m going to try something new for me! First I Primed with Urban Decay Primer Potion. Next, I pulled out my Too Faced Chocolate Bon Bons Palette and packed Black Currant onto my eyelash line. Next, I dipped a fluffy brush into Totally Fetch and mixed it with Dark Truffle. I blended this into the crease, and then blended Black Currant upwards across the entire lid. Things were looking a little chaotic, so I applied Malted to the outer corner for some definition. Next, I coated a brush with Sprinkles and Satin Sheets and applied it to my brow bone and blended into the crease to lighten up the look. Afterwards I took a tiny little brush and applied Black Currant just below my lower lash line. I attempted to draw a cat eye with my favourite Illamasqua Precision Ink Liner. This stuff lasts all day, and the wand is pretty simple to work with. Next I lined my bottom waterline with it Cosmetics Waterproof Gel Eyeliner. This also lasts all day, which is a must for the waterline! For Mascara I started with Benefit They’re Real! Eyelash Primer. I personally think this mascara is overpriced, but the wand does do a good job of separating and lengthening. Once it sat for a few minutes I layered on one coat of Smashbox Full Exposure Mascara. I thought the look needed darker, more dramatic lashes! For brows I used e.l.f. brow kit in light through my eyebrows. Which is totally not light, I do not recommend it if you are blonde! It only worked well for me after I dyed my hair brown. I lined my lips with Ofra Lip Liner in Wine, then applied Nyx Lip Lingerie in Ruffle Trim. After it dried I went over it with a Trust Fund Beauty lipgloss, because gosh darn it, it’s Summer! I didn’t bother with a primer. I applied a thin coat of Dr. G Daily Safe BB Cream with a foundation brush, and then blended with a sponge. Next I applied Arbonne Bronzer, and followed up with my Pixi by Petra Rose Gold Blush Duo. For Highlight I used Becca Liquid Highlight in Opal. I seriously love this highlighter, it came in the Becca Glow on the Go kit from Sephora and I’ve been using it non stop! It really does merit a full size purchase (when I have money xD). What’s your go to makeup look!? What should I try next? Thanks for reading. This is a very old post of mine but you can see my makeup growth since this post in my Then Vs. Now Makeup Progression post! 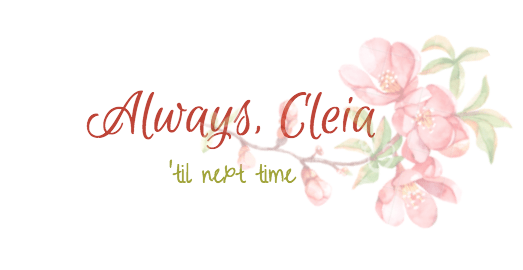 OMG CLEIA!!!! That makeup look is amazing! It looks so good!!! Thank you so much Linda!!!! 😊😊 I was happy it turned out so well since it was so much out of my comfort zone! Very pretty! I love a purple smokey eye! I’ve never attempted one myself because I agree, it is a little scary to attempt a smokey eye! But you did a great job! I love that palette! You did a very nice look with it. Thank you!! Too Faced does some great palettes!